A true spiritual legend illuminates the path to our inner source of strength and love. When we face challenges that seem too daunting to overcome, where can we find the strength to carry on? There is an inexhaustible wellspring of energy available to us in the moments of quiet stillness when we become aware of the Divine. For decades, Howard Thurman's words have guided many toward this deep inner reservoir, from leaders like Dr. Martin Luther King Jr. and President Barack Obama to countless people looking for the inspiration to deal creatively with the everyday struggles of life. 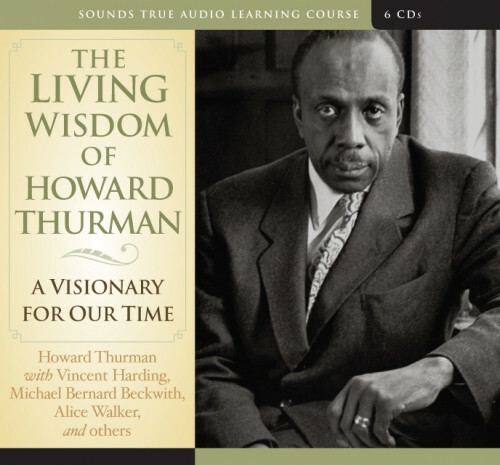 Now with The Living Wisdom of Howard Thurman, you can hear some of the most powerful recordings from this treasured spiritual luminary. Howard Thurman was a Christian theologian, yet he knew that no religion could ever “own” God. Instead, he spoke of the mystical experience-the deep knowledge that each of us is always surrounded and pervaded by Spirit. In these recordings, he offers insights on how we can open ourselves to our inherent divinity. With thunderous testimony and gentle whispers from the heart, he illuminates the inner journey that leads us ever toward a love so great that it can only come from God. Howard Thurman's words transcend any single religious tradition or era in history, for they have the power to give wings to all of us when we are suffering or in doubt. The Living Wisdom of Howard Thurman brings you a unique opportunity to hear one of America's greatest spiritual teachers—speaking to you across the years with timeless wisdom for your human journey.